This is probably my favorite release this year. 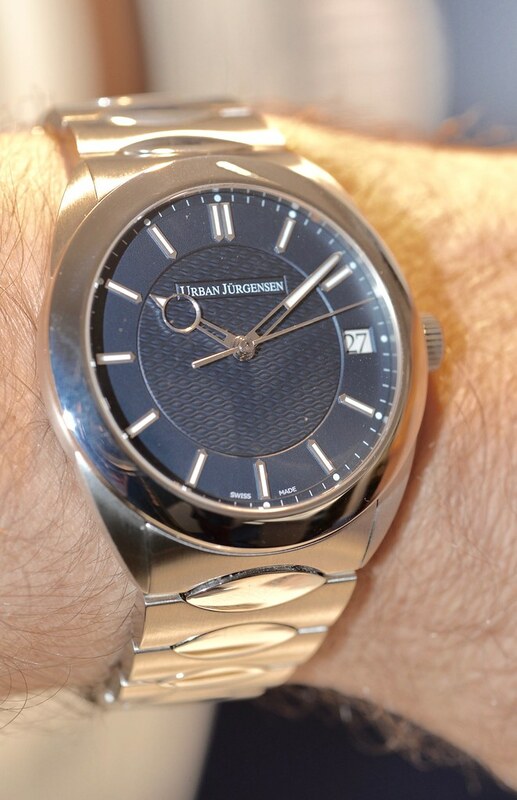 I have long admired Urban Jorgensen watches, Beautiful, classic with amazing attention to detail, stunning dials with exquisite hands. 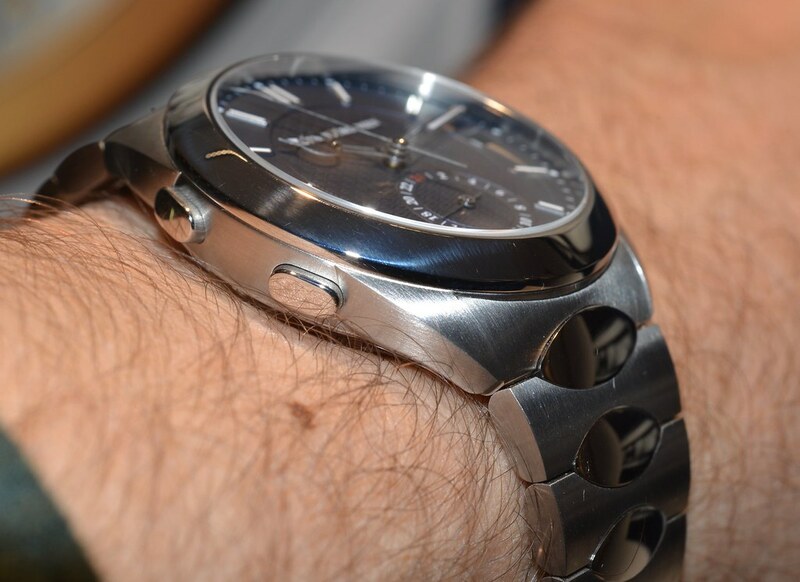 Dress watches with a certain flair, but always on a strap. Alas straps don't work for me. 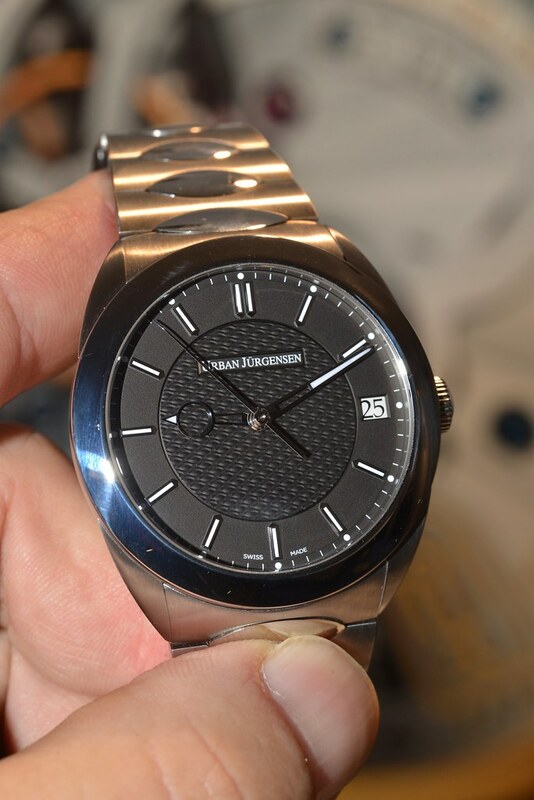 So I was very excited when I saw the Jurgensen One in the display windows outside their booth. 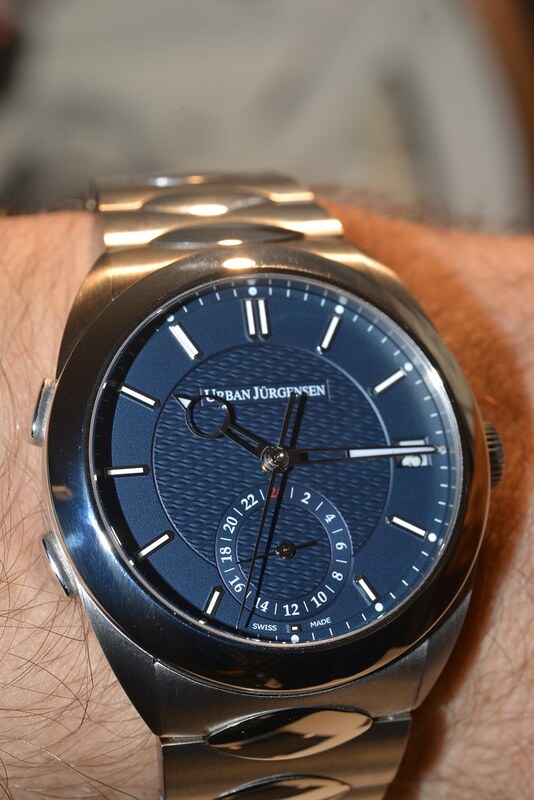 The Jorgensen One is their first sport watch, and first metal bracelet. There are 4 versions. A 3 hander with date available in 3 dial colours soft white, charcoal grey and urban blue. The dials feature grenage texture chapter ring, facetted mirror polished hour makers inlaid with super-lumiNova in blue/green and maritime wave style grains d'orge guilloche center. 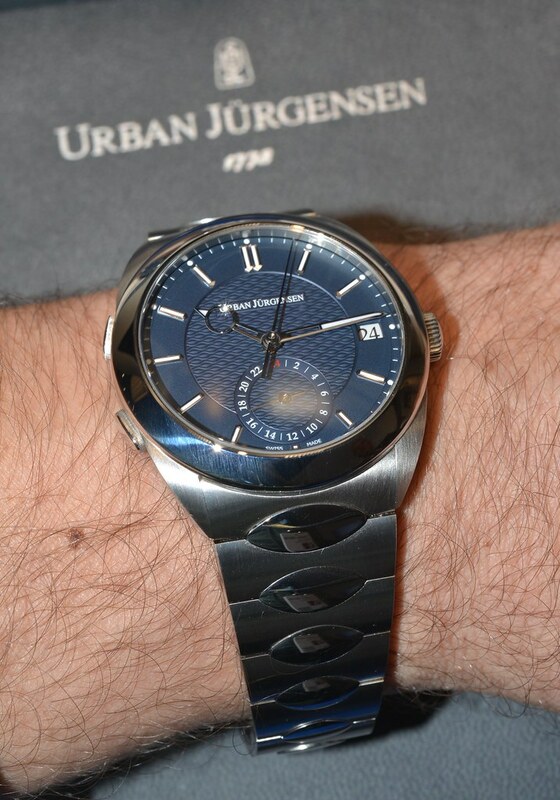 The 4th version is a fantastic GMT with an urban blue dial. The pushers at 8 and 10 are the +/- for the main hour hand. 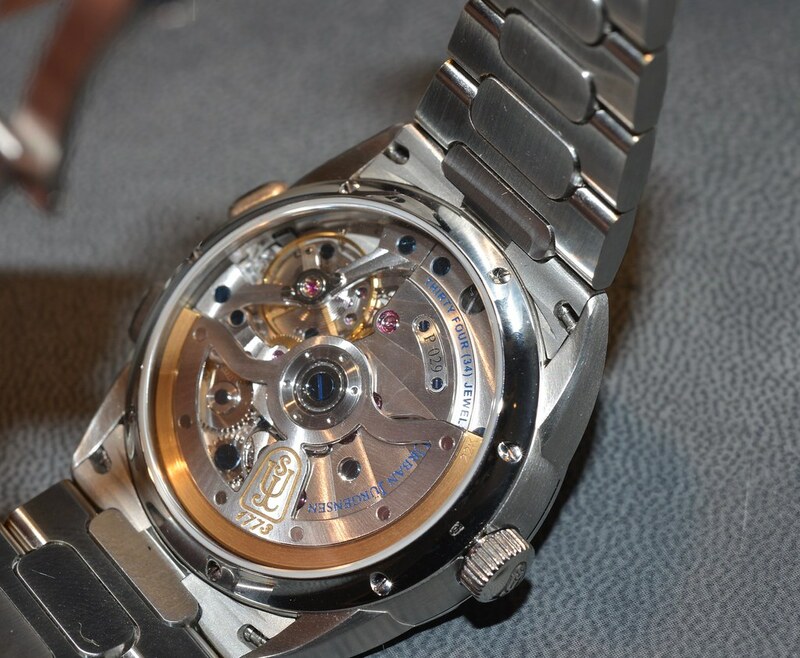 The hometime is indicated on the 24hr subdial. 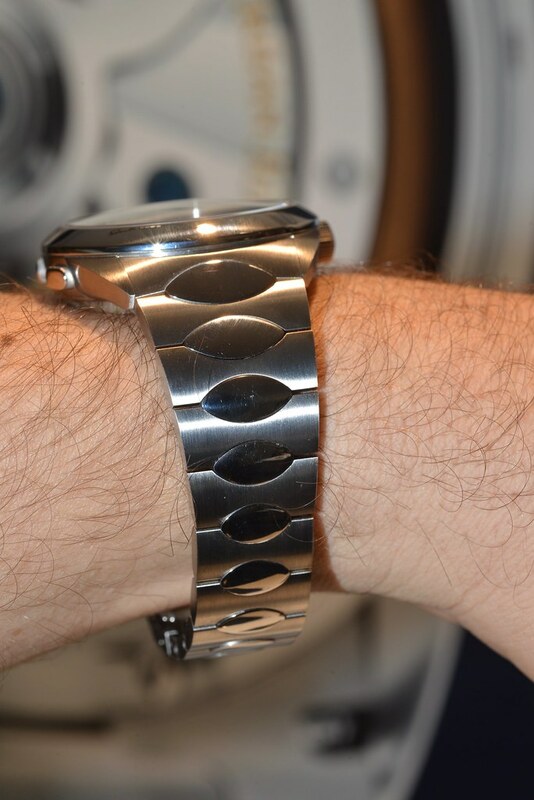 The bracelet really hugs the wrist well and was very comfortable. 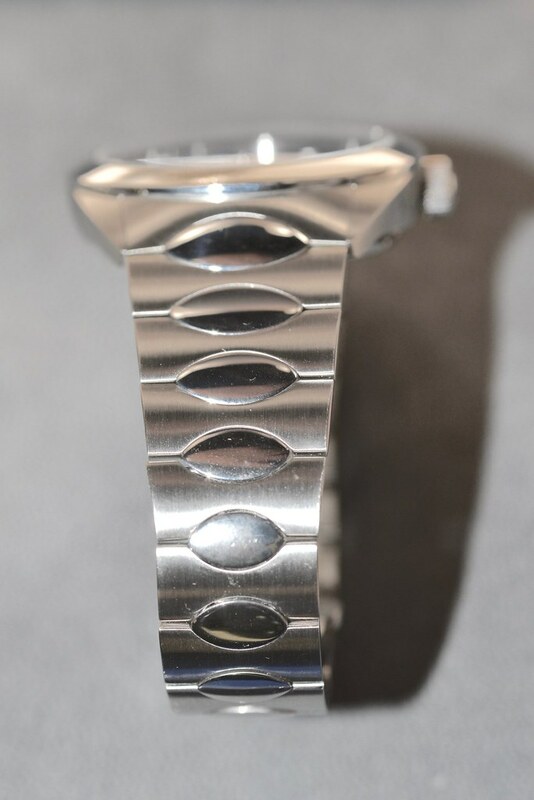 The case and bracelet is made with medical grade 1.4441 steel. 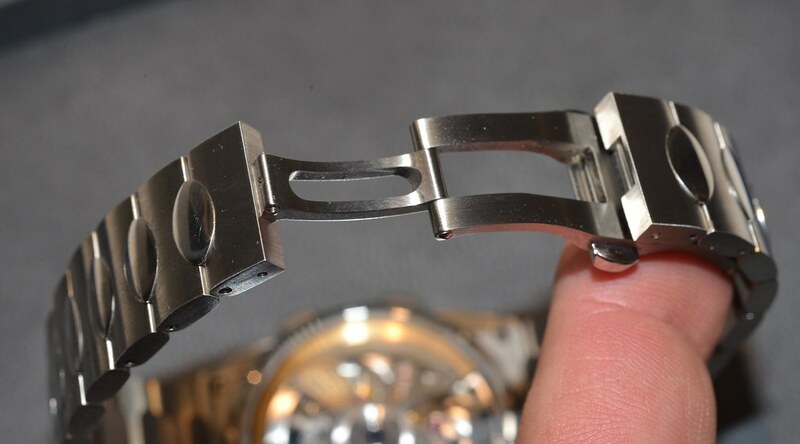 The crown is screw down and the watch has a 120m water resistance. 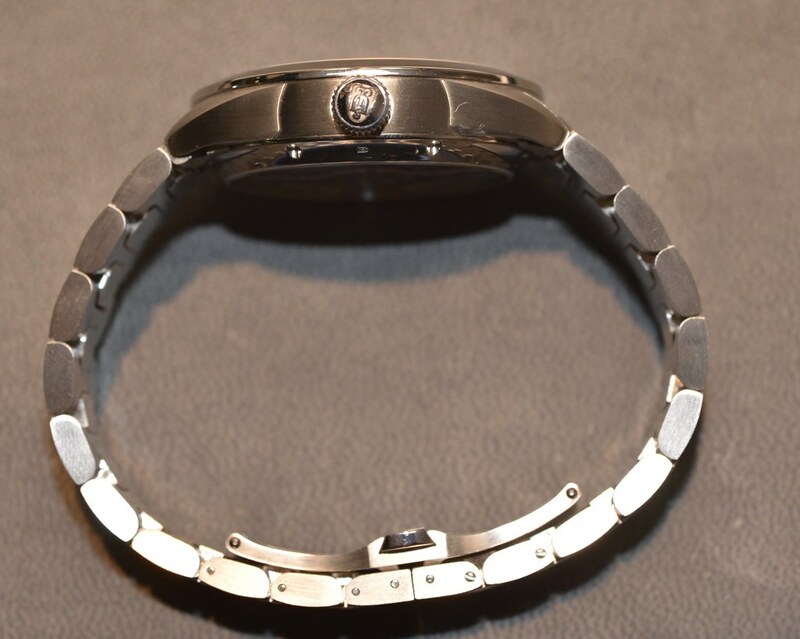 The case is 41mm and has a height of 13.8mm at center of domed crystal. Double butterfly with pusher clasp. 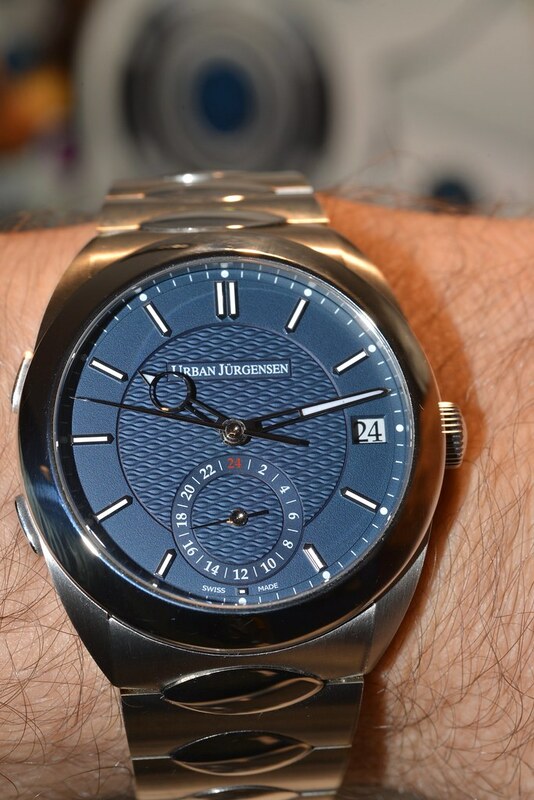 The Jorgensen One is powered by the inhouse P5 movement, 34 jeweled hand finished, beating at 21,600 with twin barrels providing 72 hours power reserve. 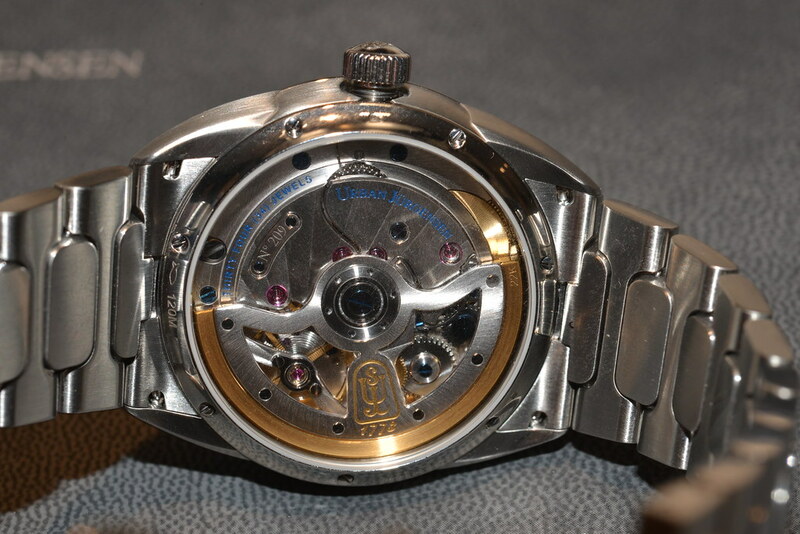 With an open worked rotor with gold inlayed UJ shield and a 22ct gold oscillating weight. I had a hard time giving this one back after the photos. My one beef would be the date wheel colour on the grey and blue dials. Hope you all enjoyed and would love to hear your thoughts.